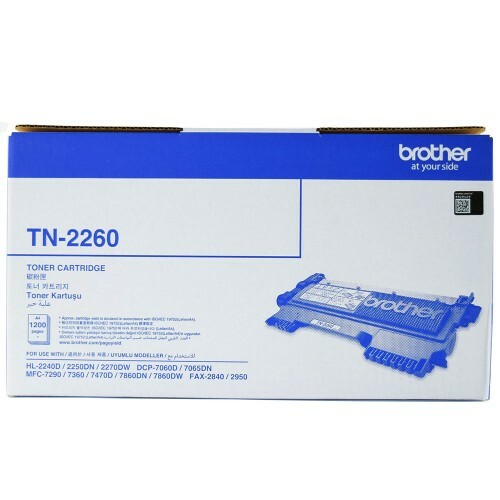 Brother TN-2260 is standard yield Toner which can print 1,200 pages as per ISO standards. It can work with Brother printers of HL-2240D, HL-2250DN, HL-2270DW, DCP-7065DN, MFC-7360, MFC-7470D, MFC-7860DW. TN-2260 is Original Brother Toner, which is cost effective to use for your personal use and small and home business purposes.